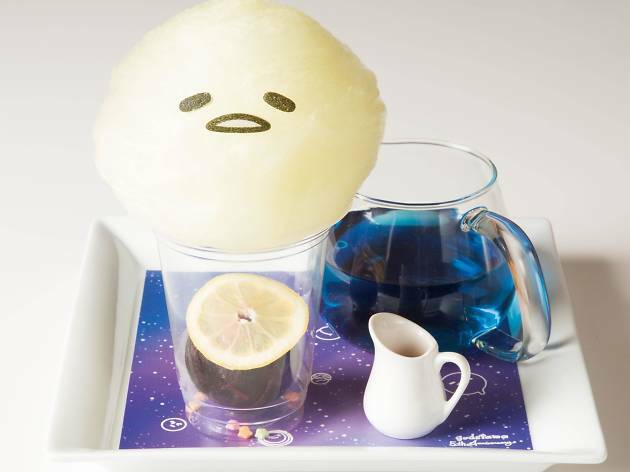 Revel in one of Sanrio’s most faved characters at this new Gudetama pop-up café in Ikebukuro. 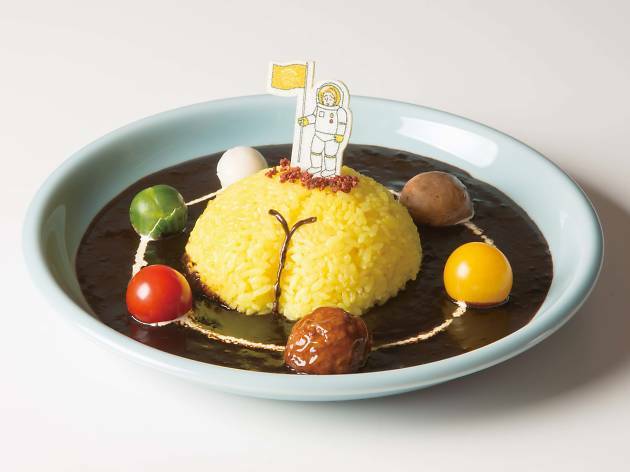 At first glance, the wacky menu looks as if the inspiration came from outer space. 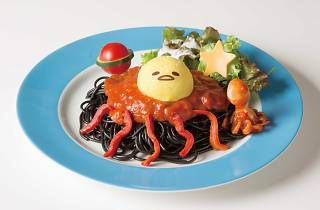 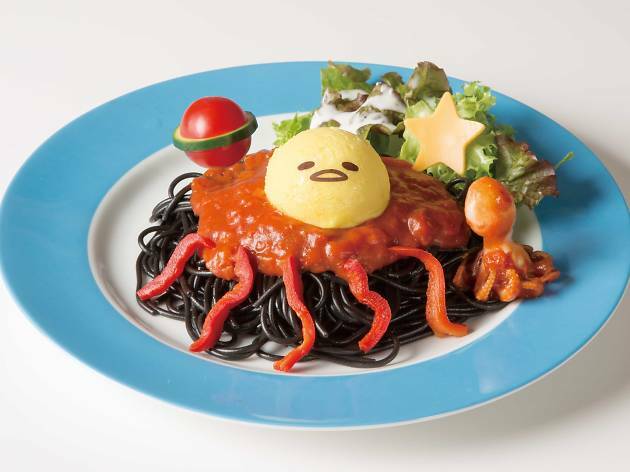 The squid ink pasta is decorated with a Gudetama creature on top, complete with an alien-like baby octopus on the side. 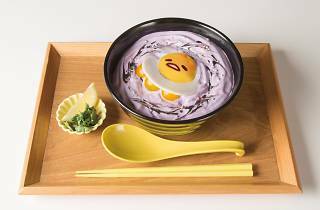 The tomato-based pho, which is topped with purple yam mousse, looks equally out of this world. And don’t be too surprised when you bite into the hamburger – it’s actually a sweet dessert in disguise. 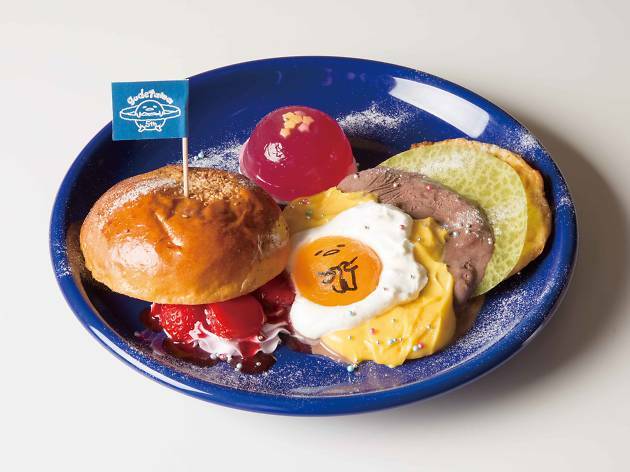 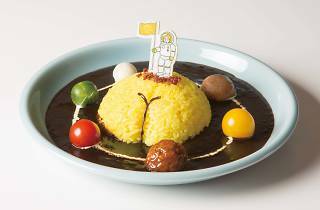 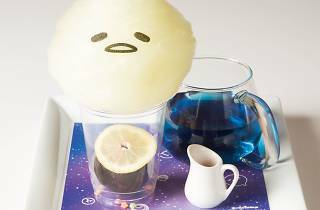 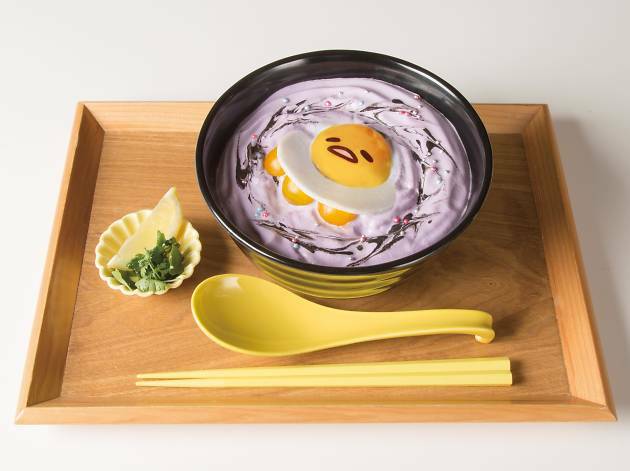 For fans of the lazy egg Gudetama, there are lots to love, and Instagram, at this limited-time café, opened in conjunction wtih the character's fifth anniversary.